This camera looks a lot like an Ansco Pioneer, only bigger. It’s got a metal body with a round chunk of Bakelite sporting a glass lens. The little red shutter button can be set for “i” and “b”. What’s interesting about this camera is the lens rotates for near and far. “N” and “F” – kinda funny. It also has a lever on the side of the lens that engages a yellow filter within the lens assembly. The film winder says “use PD-16 Agfa film”. Well, I don’t have PD-16 Agfa film. In fact, the camera requires 616 or 116 [larger than 120] film. 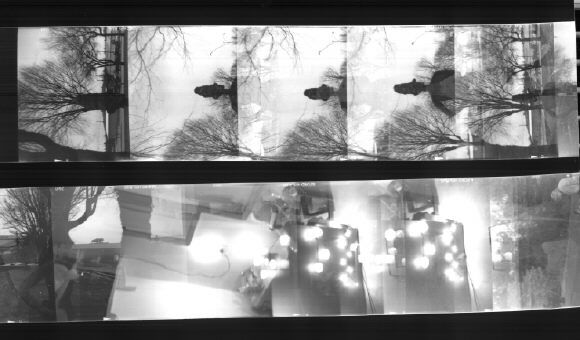 So, I stuck my trusty plastic electrical wire protectors into the ends of a roll of 120 film and mooshed it into the camera. Only then did I realize that the take-up winder was missing a piece it needed to engage the spool. Made one out of metal and we were in business. Although the viewfinder is completely gone from the top of the camera, it still has it’s hokey braided handle on the side. It accepts a flash attachment that I don’t have. 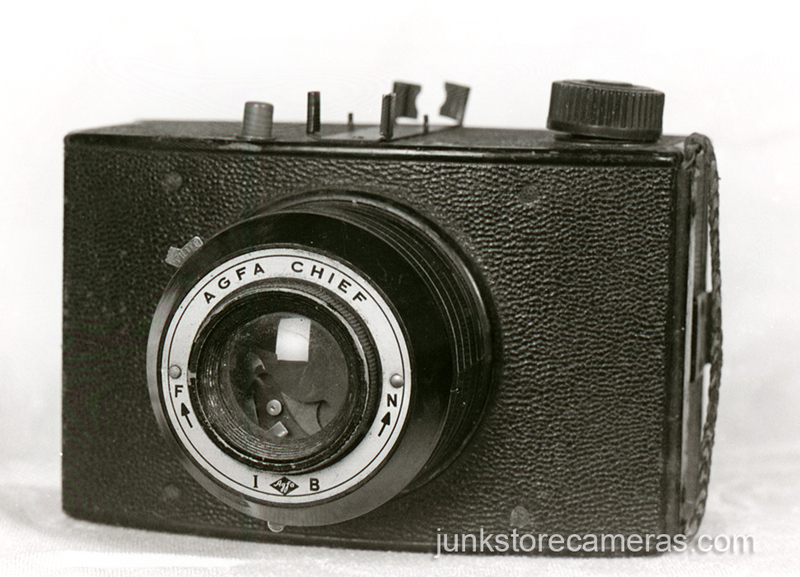 The camera back says “Agfa Ansco, Binghamton NY Made in USA”.